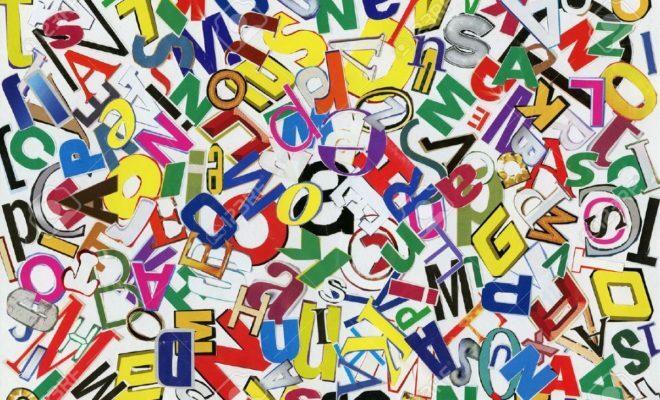 Many SCGA members are unsure of an easy means of having their Handicap Indexes confirmed, whether preparing for a golf trip, confirmation for a competition or even just making sure the right strokes are given or received during the weekly after-work gathering. While a number of capabilities to accomplish verification exist, a new feature on the GHIN Mobile App allows your smartphone to do the “heavy lifting” for you with just a few taps of your finger. When accessing the mobile app, look for the Handicap Card button. After choosing that option, you will see and be able to show your Handicap Index®, the name of the club that issues the Handicap Index, your SCGA/GHIN number and reference at the bottom that the SCGA and USGA are providing this service, along with the scores used in your calculation. The mobile app does a lot more, too. 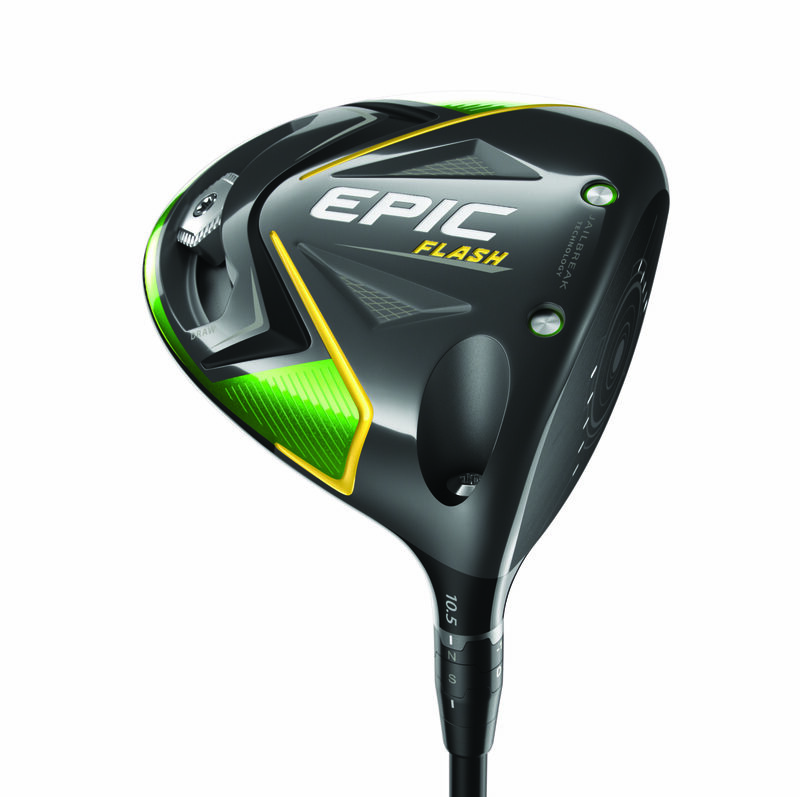 A key item for members whose clubs allow internet score posting is the ability to do so from a phone, which can be very convenient when the posting computer is not accessible or when time doesn’t allow for a return to the golf shop after a round. All SCGA members can use the app for a number of features, including looking up your Handicap History (the last 24 revisions), which makes it easy to determine which of those from the last 12 months are impacting your Low Handicap Index (LHI) that some clubs use for competition. You can filter scores based on where they were played, and not just the most recent 20. And you can look at scores tied to the revision calculation, or more recent scores that have been posted since the revision. 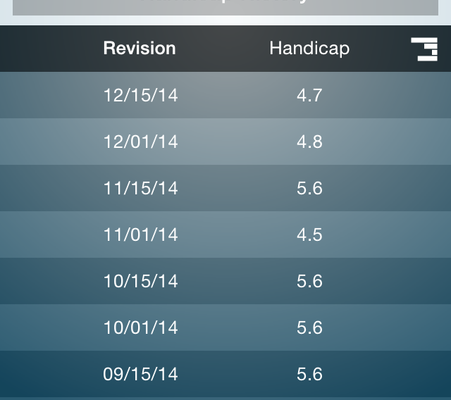 Converting your Handicap Index into a Course Handicap is at your fingertips as well. 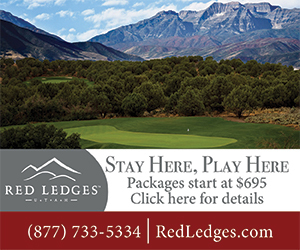 You can put in your buddies’ and determine other golfers’ Handicap Index values and Partner Handicaps. You can set Favorite Courses, making it easy to convert you, your partners and others to the right Course Handicap value and determine who gets how many strokes from one another. 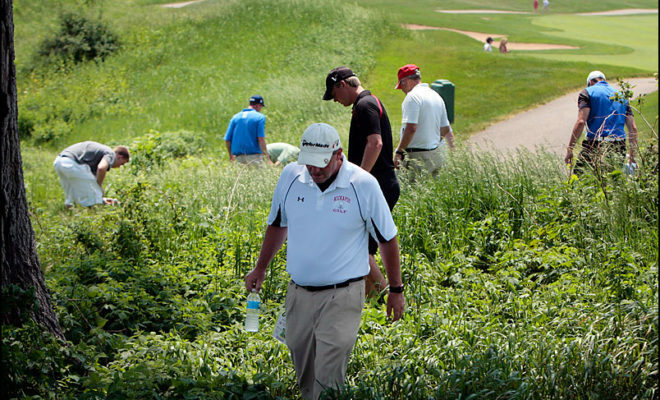 These favorite course settings also streamline score posting on the app. The features don’t stop there. Accessing the SCGA’s Twitter and Facebook feeds are there as well. 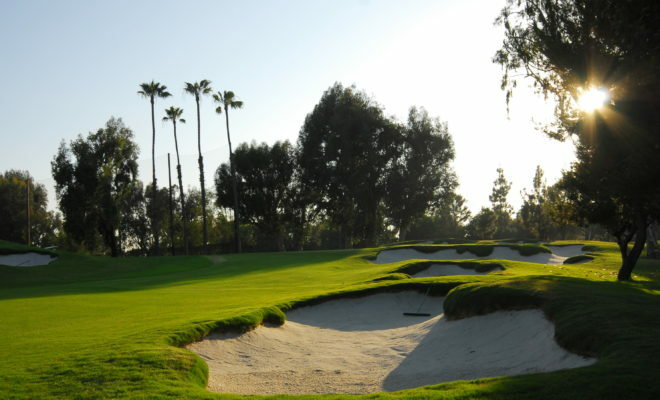 This is an easy way to keep abreast of what is taking place in the golf world in Southern California. 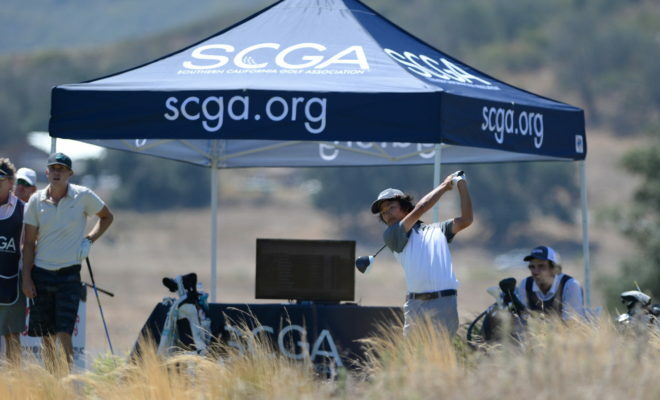 And SCGA tournament information and registration is only a few taps away as well. You can access the app on both the Android and IOS platforms. Search GHIN or GHIN Mobile to download the app from the Google Play or Apple stores. The first time you access the app you will be asked to enter your SCGA/GHIN number and last name. Future logins will recognize you. 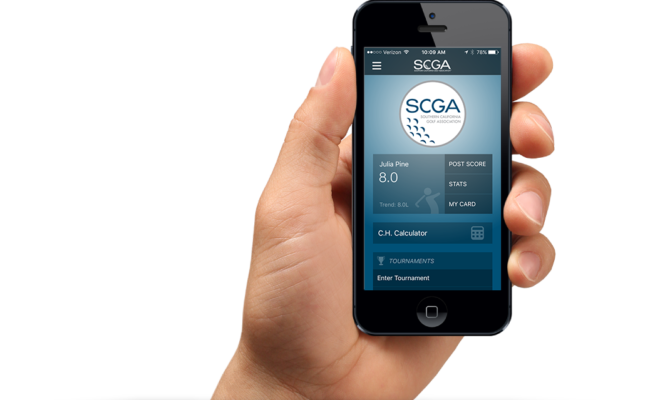 More features are on the horizon, but for now, just grab your smartphone, tap on handicap card and show the information, check your score history and have some fun on the SCGA’s social media sites.